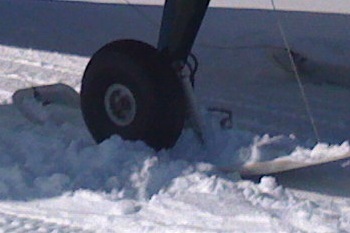 Wanted....full set of landing gear any configuration or axels that work for the Cleveland conversion. Looking for axels to convert from crosswind to Cleveland set. I want to keep my crosswind gear for summer use but also want skis in the winter. It seems you can put skis on the crosswind gear, so I am looking for a reasonable way to swap each season. I understand that swapping axels may not be too difficult each season. Anyone know about this or other options? Otherwise, I am still looking for a total second set of gear of any type, crosswind or Cleveland set up. to see if they have any axles left. thanks for that suggestion, but that's always the first place that I go and none to be found for now. I have some old crosswind gear, if you are looking for extra parts for yours. Also, if you can get Cleaveland axles from Curtis, they are very well made.